Threatened by election boycott - Investigation has revealed that recruitment of thugs in Anambra state for the 18th November election tops agenda of all political party’s candidates. In what may be described as preparing for election that would be decided by strength/war and not number; the mobilization of political thugs became a top priority. With clear knowledge that the people of Anambra state under the order of the leader of Indigenous People of Biafra Nnamdi Kanu will boycott the 18th November election; political parties are recruiting armed thugs that will fight for rigging to swing to their camp. The recruitment which was label "party security" is aimed to swing rigging to the favor of specified political party. Further revelation showed that the security being recruited will be armed based on the fact that people that pass the test are those with trigger experience. According to the sources that spoke to our senior journalist; if one has no trigger experience, he is shifted to party agent. Most political parties have arranged more than fifteen agents while one with party tag represents all. “The election will be a war; this is why they did not campaign or share enough money as usual, they intend to share the money on the D-day” a source said. Anambra state election suffered threat of boycott due to the suspected involvement of the state government in the various massacre of Indigenous People of the state who are agitating for the restoration of Biafra. The first casualty of Biafra agitation championed by Nnamdi Kanu was recorded in Onitsha which set pace for the feud between the people and the governor of the state after he failed to condemn the killing of IPOB members. 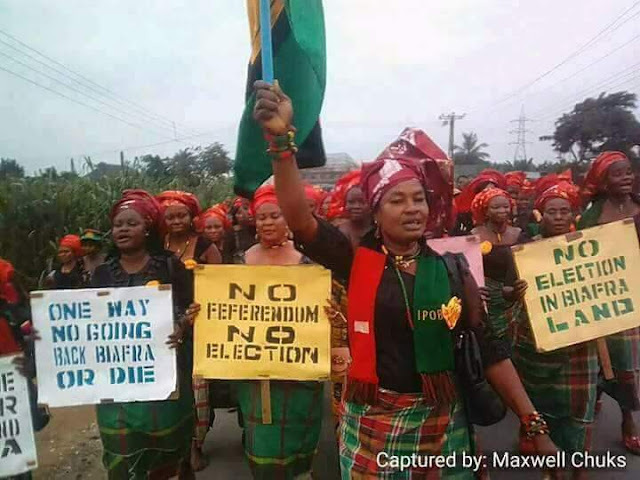 Campaign in Anambra state was severed after the people opposed election in the state and chant of ‘referendum’ saturating every campaign rally. The people often take Biafra flag and run contrary campaign anywhere politicians are found campaigning which would affect the popularity of candidates and when the people could not be stopped, campaign was stopped. “They have lost hope in the people; the electorate will not vote and appointment will be made through rigging. To rig the election; you must have boys, boys that can attack, steal, kill and scare people away. You must have capable boys that can influence INEC officials; threaten them or hurt them any time they try to go against you” a political expert on violence said on a classified condition. The recruitment is quite a classified thing; it is not done publicly as there is already existing cartel in Anambra state that is being used to execute political war. According to the investigation; a known or a major cartel has ceded for PDP candidate due to Peter Obi’s influence. “This business is mostly being done by former MASSOB members; MASSOB later became a political tool of violence, Uwazurike caused it all, he used MASSOB to fight for his candidate. Up till date; former MASSOB members are still engaging in that political war because there is money in it” another source said. Rigging is a tradition in Nigerian politics but the last election witnessed less of it due to the willingness of the people to vote. In a democratic dispensation of option A4; the people cast their votes and protect their votes, in the sense that after casting, you stay around till your vote is counted and result written in your booth. The option has helped to tackle rigging but in a situation the people entirely boycotted election, it provides a haven for rigging. “They told me it's a security job and I asked them what is the security job all about; they quickly told me that I will protect polling centers and make sure no rigging occurred. They further said that if I want gun; I will be given gun by my commander. I was also told that even though there is rigging; that I must make sure it was done in our favor” a recruited source who compromised said. The election has shown signs of violence with Peter Obi vowing to topple Obiano and Tony Nwoye claiming that Obiano will not step his feet into Nsugbe. 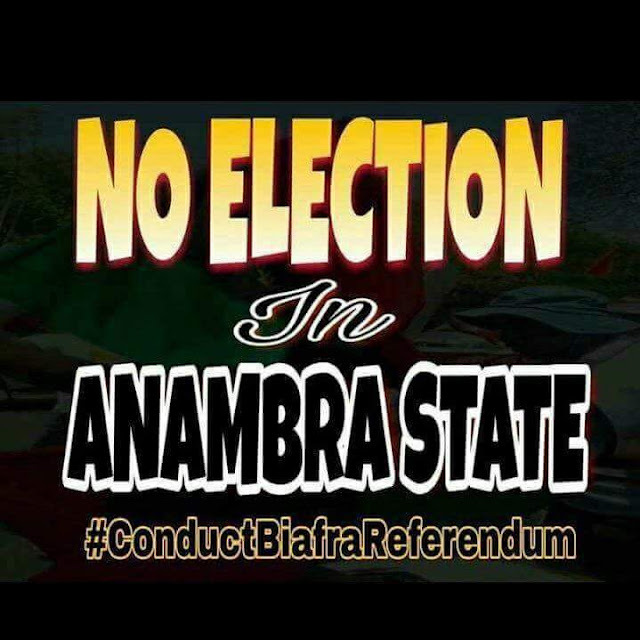 Towns in Anambra state are already identifying the sentiment and contracting the violent character of the candidates. There is notable bitterness with APGA materials being burnt and uploaded on social media accompanied by threats and counter threats from party wards. “The recruitment is going on in every party; every political party has one or two contacts in charge of security recruitment. I have been met by APGA contact before I accepted APC, my friend chose PDP. Some money is given for preparation because you must prepare yourself anyhow you know how to prepare. I was told that the major money will be given on the eve of the election but sometimes, they give half and promise to complete after the job and if your party loses, that one is gone” the source continued. Meanwhile; the federal government of Nigeria has indicated that thousands of police and military personnel will be drafted for Anambra state election to ensure peace and order. While political analysts are questioning the idea of military deployment; political parties are seriously recruiting security personnels to fight their interest. The idea of arming the security comes as a shock because the state will definitely be saturated by arms and security that will possibly suffocate the electorates. The safety of electorates who are not with guns is a major concern and this further proves that Anambra state election will be a war that if not boycotted may result to bloodbath. Therefore it is imperative the call for an election boycott be strongly adhered to, to save lives.